The National Alliance for Public Charter Schools is asking charter school students from across the country to write an original essay on why they love their charter school. We invite interested students to participate! Submit your essay to the National Alliance for Public Charter Schools here! Note: We do not receive any information or submissions from this third party essay contest. We encourage all participants to email a copy of their essay to sawyer@rogerbacon.net, who will feature student submissions on their school’s website! Essay submissions will be accepted starting Monday, April 6. The contest deadline is Friday, May 1st at 11:59 PM ET. Essays can be no more than 500 words but must meet a minimum requirement of 250 words for middle and high school entries. Elementary school entries may be up to 150 words. Essays must be original work of the student. One winner from each age group will receive a certificate and will have their essay published on the National Alliance for Public Charter Schools blog. 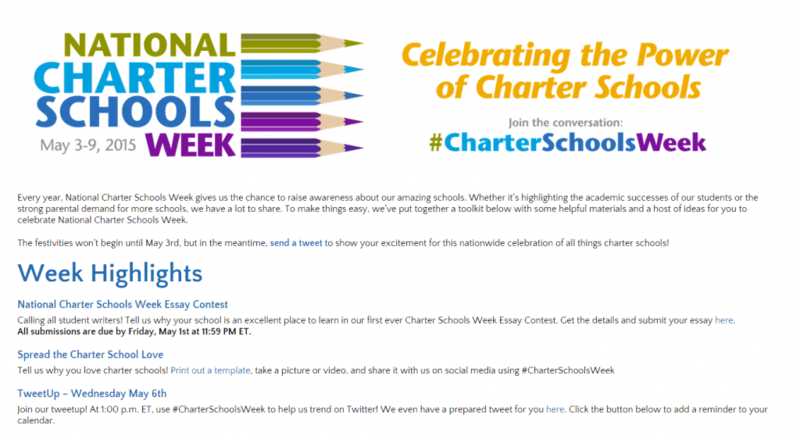 Winners will be announced during National Charter Schools Week on Friday, May 8th. To visit contest, submission website click here.